We have had so much rain lately but the canola always looks spectacular! Just gorgeous, those canola fields do make for beautful photos. Lovely strong shot. The colours are beautiful. Gosh that splendor of colors! Almost too perfect to be real and almost feels a bit surreal in all of it´s glory -truly amazing and absolutely beautiful shot! Nice to hear from you again Diane! I love the yellow and your composition! Hi, nice to see you back xoxo love the beautiful yellow! Gorgeous - even more so on black. Stunning shot, Diane. 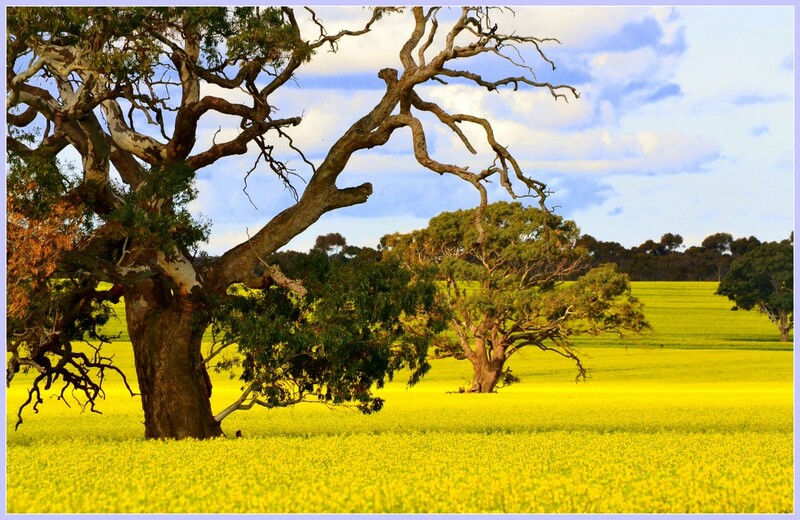 Love the contrast of the trees against the vibrant yellow canola. What ahuge yellow carpet underneath those beautiful trees. Fav. Stunning colours - so vibrant! Wow look at these colours! Love the dark colours of the trees with the yellow crop.